We offer a combined 20+ years of experience and have closed $300+ million worth of property with our clients ranging from first-time home buyers to sellers of $8 million new construction condo conversions. 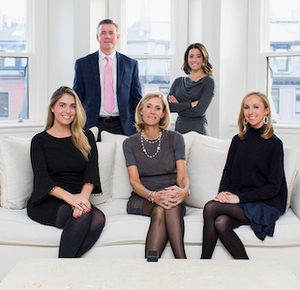 These clients have engaged our team because of our boutique level of service, deep knowledge of Boston’s Back Bay, Beacon Hill, Bay Village, South End, Seaport, Waterfront, Midtown and South Boston neighborhoods. Please visit Alexandra Biega's page here. Please visit Rob Kilgore's page here. Click on the image on the right to view the video. 110 Stuart Street Unit 26E | Exquisite 2 + bed, 2.5 bath luxury condo on the 26th floor of the W Residences in Back Bay. Spectacular floor-to-ceiling windows throughout offer unparalleled panoramic views of the Public Garden, Boston Common, Charles River, State House and beyond. Sleek kitchen with Wolf gas stove, Sub-Zero fridge, wine cooler and granite island with seating for 3 opens to living and dining areas offering the perfect floor plan for entertaining. Master suite boasts stunning views and an abundance of natural light, custom built walk-in closet, three additional closets and spacious en-suite bathroom with double vanity, soaking tub & step-in shower. Generous second bedroom features en-suite bath with tub and shower. Impeccably designed, versatile bonus space can be used as an office, third bedroom, bar or library and offers an abundance of storage. The W offers a host of amenities including 24 hour concierge, doorman, fitness center, elevator, Bliss Spa, room service, cleaning service and valet parking. Click on the image on the right to view the video. Rarely available corner, penthouse residence in the heart of Southie at Dahlgren Hall, built in 2015. Soaring ceilings and generous windows throughout allow for sensational natural light and city views. Sleek chef's kitchen with island offering seating for 3, stainless steel appliances and waterfall island opens to living and dining areas with vaulted ceilings, gas fireplace and oversized windows. This thoughtfully designed, open floor plan is perfect for entertaining. Master suite features private balcony, seating area, custom walk-in closet and spa-like master bath with step in rain head shower. Generously sized second bedroom also offers views of the city and easy access to the spacious second full bathroom with tub and shower. Central A/C, in-unit laundry, ample in-unit storage as well as a bonus storage room and 3 garage parking spaces complete this offering. The large common roof deck, elevator and common lounge with full kitchen make Dalghren Hall a wonderful place to live.